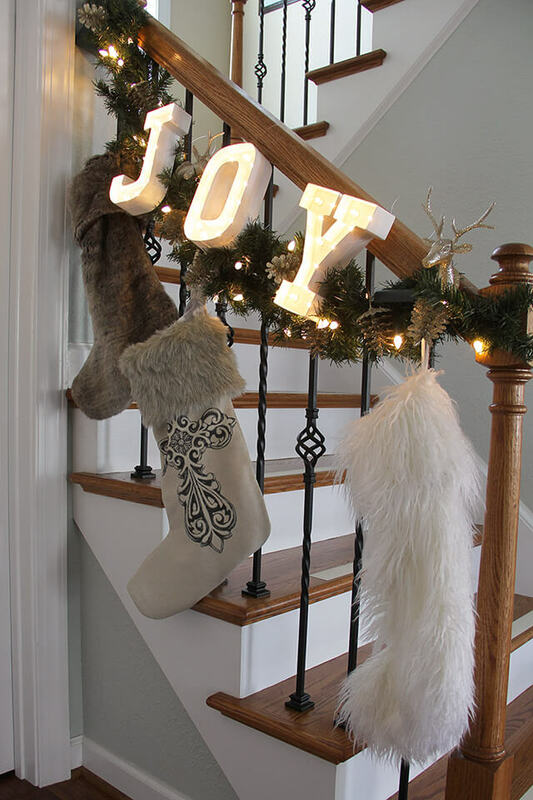 Decorating my home at Christmas time always fills me with such an incredible amount of love. 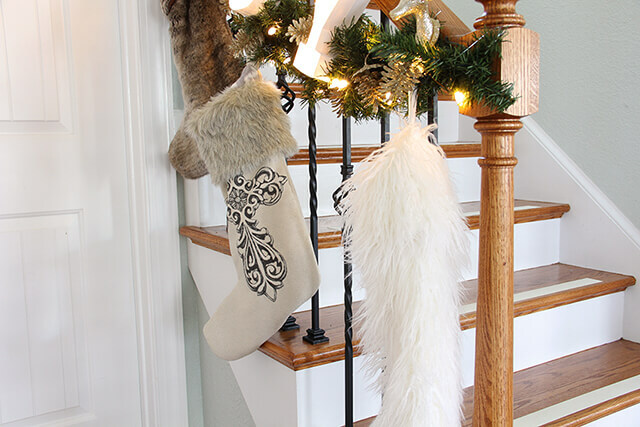 The memories that go with each decoration bring joy, laughter, and sometimes tears, as I think back to how each item came into my possession. Whether it has been handed down to me by relatives or given to me by friends, the emotions attached to each and every item make them absolutely priceless. It has taken a lifetime to acquire my collection, and every year just a little bit more is added to it. Some store bought some gifts…and at least one handmade item. 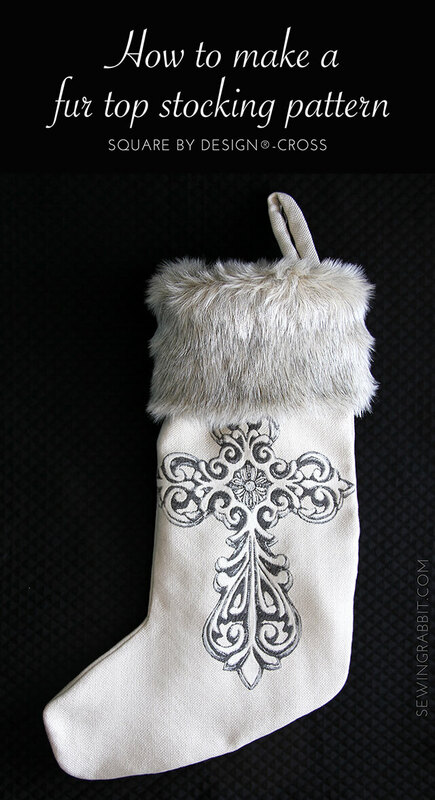 This year, that handmade item is a stunning Square by Design® Cross fur topped stocking. Hi there! 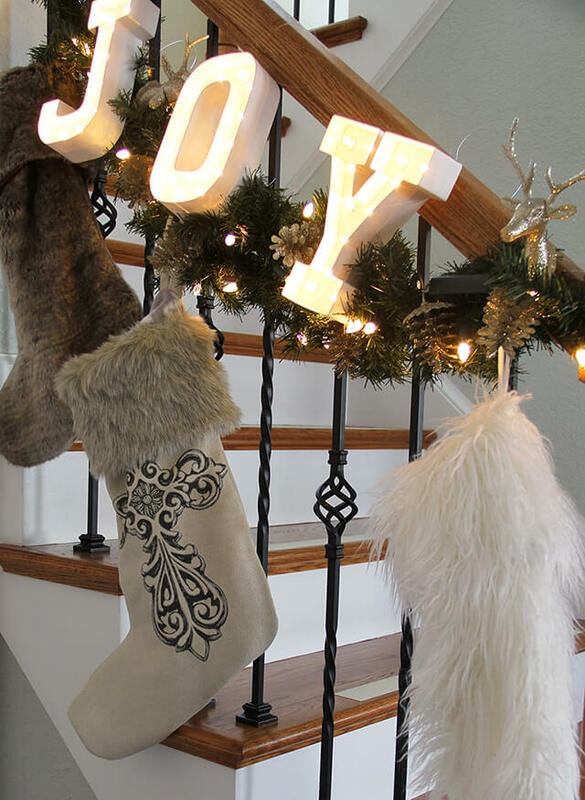 Jess from The Sewing Rabbit, and today I am going to show you how to make this simple fur top stocking just in time for Christmas. 1. Cut out pattern pieces as indicated. 2. Place exterior front and back right sides together, pin and sew around the sides and bottom. Trim seam allowance, and turn stocking right side out. 3. Fold loop in half, right sides together, matching up the long outer edge. Pin and sew. Turn loop right side out and press. 4. Fold loop in half, matching up the raw outer edges. Pin the raw loop edges to the outer edge of 1 lining stocking pattern piece, 2” down from the top. Baste stitch loop to stocking to secure. Place lining front and back right sides together, sandwiching the loop in between. Pin around the side and bottom edges and sew. 5. Slip lining inside of exterior stocking, wrong sides together, matching up side seams. Pin the top edge together and baste stitch ¼” away from the edge to secure. 6. Fold fur top band in half, right sides together, matching up the short outer edge. Pin and sew. 7. Fold fur top band in half, wrong sides together, matching up the outer circle raw edges. 8. 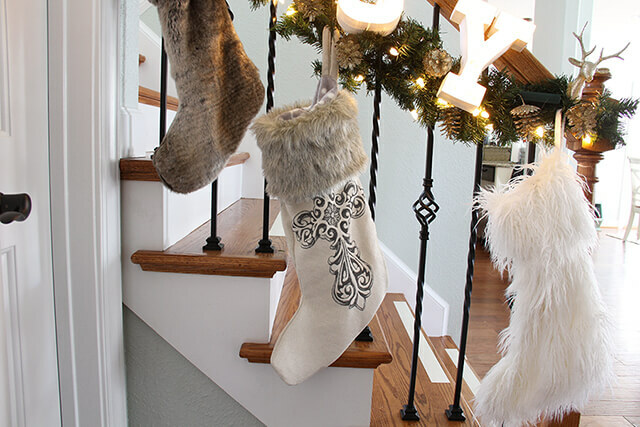 Slip the fur top band inside of stocking, matching up all raw edges. Pin around and sew. 9. 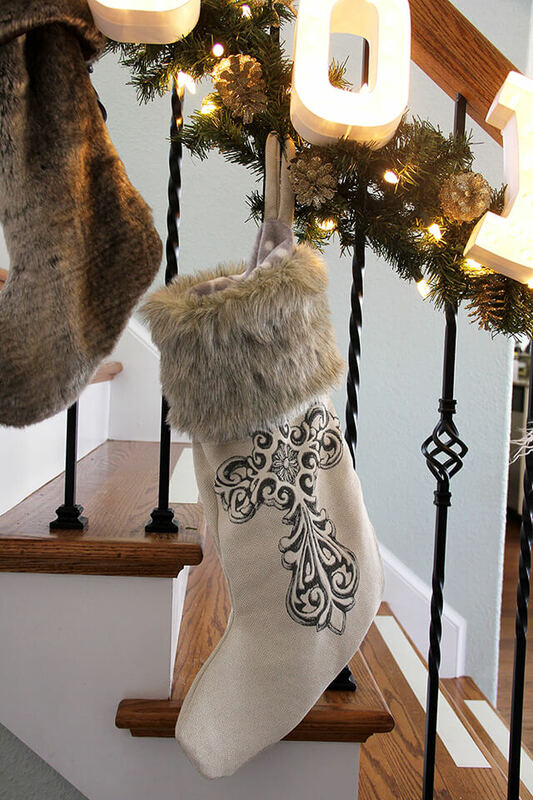 Pull out the fur top band, and fold down over the top of the stocking.